Regardless of how well or poorly you personally received the ending of the original Mass Effect trilogy, following those games with a non-reboot, non-sequel game in the same universe is going to be a tall order for anyone. Mass Effect: Andromeda (as reported by Kotaku) had a difficult development, and it shows. But the biggest factor for whether or not you'll get some enjoyment out of this game can be boiled down to a single question: what did you think of Dragon Age: Inquisition? In the non-reboot, non-sequel Mass Effect: Andromeda, you're a pilgrim, a passenger onboard the human ark sent to colonize the distant Andromeda galaxy. The trip takes 600 years of cryo-sleep, and everything goes wrong when you finally wake up. A coral-like space growth called The Scourge inhibits space travel and wrecks ships. The Nexus, a space station sent ahead of the arks, is barely functional and none of the other species' arks have arrived. Worst of all, none of the "golden worlds" surveyed in advance of the voyage are suitable for colonization. Something horrible happened over the 600 year trip. The Mass Effect and Dragon Age series are linked by more than just having a common developer. They were largely developed in parallel, and borrowed gameplay mechanics from each other on numerous occasions. When Dragon Age 2 came out and it felt like Dragon Age shoehorned into Mass Effect, with a greater focus on a smaller scoped story and action over tactical combat, it was a disappointment to me but the problems I had with that game were mechanical. Enemies warped in from thin air (with no particular in-game reason), and it overly reused game environments. Mass Effect: Andromeda feels like Mass Effect shoehorned into Dragon Age: Inquisition. This time around, I'm not that mad about it. I loved Dragon Age: Inquisition despite the game having too many collect-a-thon quests, and too many fetch quests that added nothing to the game. This one suffers from the same problems, but the gameplay loop itself is enjoyable. The combat in the Mass Effect series has continued to build upon itself and become more fluid over the stop-and-pop Gears of War-esque combat of the original Mass Effect. Planetary exploration is done with the Nomad, a six-wheeled vehicle that's far more fun to drive than the Mako. Here's a piece of advice that carries over from Dragon Age: Inquisition: if something isn't a core quest, or a companion quest, and it doesn't interest you from the start, don't bother doing it. There are tons of quests that are meaningless. Do what seems like fun, unless you're a completionist and a masochist. What hurts Andromeda is that it doesn't take the conceit of being a different galaxy 600 years into the future far enough. It adds a couple of new Andromedan species of sentient aliens, but their designs aren't exactly inspired, and it brings with it the core species from the original series, and none of the cool edge species. Of course, there are going to be Salarians, Turians, and Asari, but we've gone to a different galaxy. There should be more than two sentient species here when the Milky Way had handfuls of aliens. It even leans too hard on an ancient, technologically advanced species that influences the present. Playing this game months after release has turned out to be the best way to experience it. Early reviews noted a plague of technical issues within the game. I saw none of that. The chief complaint was that faces were poorly or weirdly animated. I never noticed anything particularly out of place. Over the course of 53 hours, I enjoyed my time with Mass Effect: Andromeda. While I'm not inclined to buy DLC, I would look forward to a second game in this series. Mass Effect: Andromeda has more in common with the first game of the original trilogy than the other two, and that was my personal favorite of the three. It's a more optimistic game, even if it suffers from borrowing too heavily from the original trilogy and Dragon Age: Inquisition. 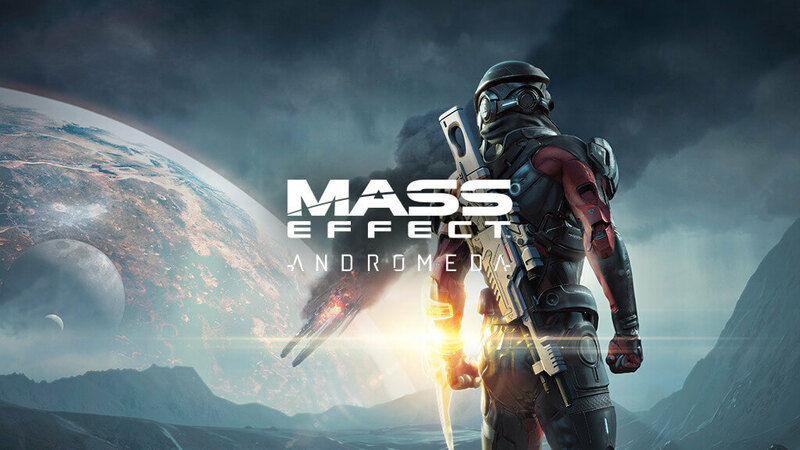 It's hard for me to say whether or not a newcomer to this series of games would enjoy Andromeda more without playing the original trilogy, but it's at least a competent game.